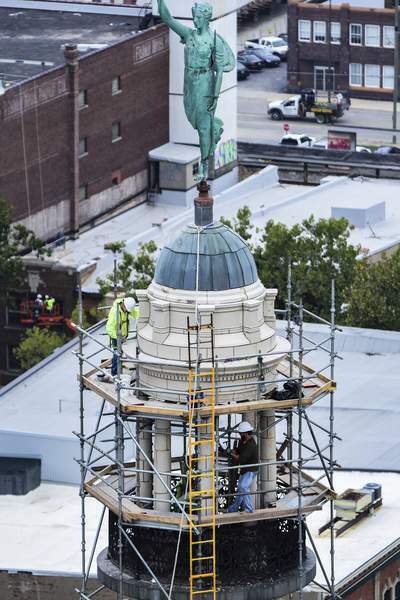 Mike Moore | The Journal Gazette Workers from General Restoration Corp. of Columbus, Ohio, build scaffolding 250 feet high at the top of the Allen County Courthouse on Thursday. Crews will make restorations to the platform where Lady Liberty stands. The project is expected to take about six weeks. 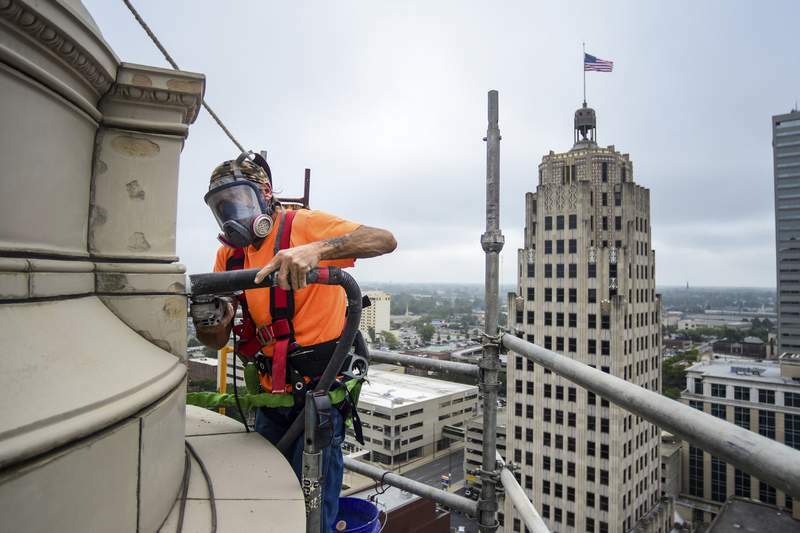 Mike Moore | The Journal Gazette General Restoration Corporation employee JR Blevins uses an angle grinder to cut away mortar during a restoration project on top of the Allen County Courthouse on Thursday.